What are they? How do you get enough everyday? Meats such as chicken, beef, pork, lamb and beef are all rich in protein, vitamins and minerals such as vitamin B12 and iron. Some meats are high in fat, especially saturated fat, which has been linked to raising LDL-cholesterol (bad) and increasing risk of heart disease (the UK’s second biggest killer). Saturated fats are not essential in the diet and the UK dietary guidelines recommend our intake should not exceed 11% of total calorie intake (a maximum of 30g/day for men and 20g/day for women). The type of meat chosen and how it is cooked will make a big difference to the saturated fat content. Turkey and chicken are considered ‘lean meats’ as they are lower in saturated fat compared to other meats such as lamb and beef. Crackling and poultry skin are much higher in saturated fat than the meat itself, so to keep intakes low, cut off any visible fat and skin before cooking. As a general rule, the more white you can see on meat, the more fat it contains (i.e. back bacon compared to streaky bacon), which is why red meats are higher in saturated fat. Red meat is classified by the World Cancer Research Fund as a class 1 carcinogen (a cancer causing substance). The International Agency for Research on Cancer’s (IARC) evaluation on red and processed meats, states that there is sufficient evidence to conclude that high intakes of processed meat (such as sausages, salami, ham and bacon) cause cancers (such as bowl cancer) and high intakes of red meat (such as beef, lamb and pork) probably cause cancers. The Nurses Health Study, which followed almost 90,000 women over 20 years, found that each additional serving of red meat per day resulted in a 13% increased risk of breast cancer. Researchers are still investigating how red meat causes cancer, but one of the possible ways involves haem, a compound which contains iron and gives red meat its colour, has been shown to damage the lining of the bowel. Also, when we eat red meat, chemical compounds called nitrosamines are formed, which are known to damage our DNA, which can cause cancer. Processed meat also contains nitrites and nitrates, which are also converted to nitrosamines when we eat them. When I mentioned earlier about processed meat being classified as a class 1 carcinogen, this class doesn’t refer to the level of risk but it describes the strength of evidence surrounding this agent being a cause of cancer. It doesn’t take an expert to realise that one sausage sandwich and one plutonium sandwich are not equally dangerous. The dose is important! The current recommendations for red and processed meat advise people who eat more than 90g (cooked weight) each day to reduce their intake to 70g (the average daily consumption in the UK). But according to UK dietary surveys, four in 10 men and one in 10 women eat more than 90g of red and processed meat a day. The Department of Health is not telling us we need to cut out red meat altogether because in the UK it largely contributes to our intakes of protein, vitamins and minerals such as iron and zinc. But, if you’re choosing not to eat red meat that’s fine. Eating a healthy varied diet that contains less (or no) red meat can provide you with all the vitamins and minerals you need. Based on estimates from the European Prospective Investigation into Cancer and Nutrition (EPIC) study, on average, women in the UK eat 74g and men eat more than 90g each day. And of this, animal protein makes up 55–73% of the total protein and plant protein makes up 24–39%. 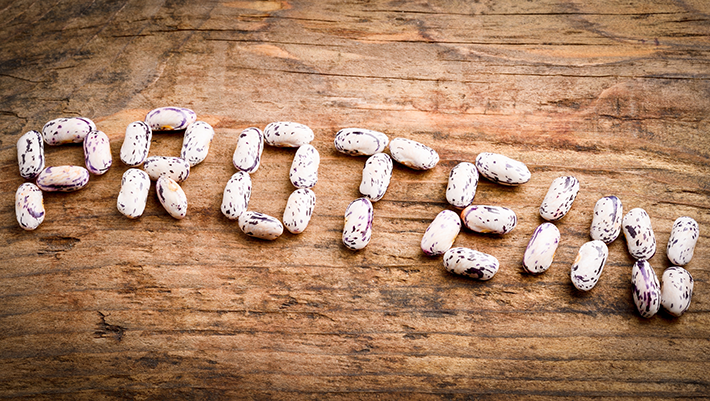 Eating too much protein, especially animal protein is linked to an increased risk of type 2 diabetes and has also been found to increase heart disease risk. But diets high in plant proteins actually have a preventative effect and reduce the risk of heart disease. When you eat lots of animal foods, there’s simply less space for plant based foods. Oily fish such as mackerel, trout and salmon, are a rich dietary source of omega-3 fatty acids – evidence suggests consumption of oily fish reduces risk of cardiovascular disease and may help to maintain good memory and prevent and treat depression. Oily fish also provides other important nutrients including vitamin A (antioxidant), vitamin D (the “sunshine” vitamin) and protein. Non-oily fish such as cod, tinned tuna and haddock, also contains omega-3 fats but in much smaller amounts. It is a protein-rich alternative to red or processed meat. It is recommended that we aim to include two portions of fish each week, one of which should be oily fish. Aim to have some meat-free meals during the week using beans, peas or lentils (such as chickpeas, cannellini beans or kidney beans) as one portion of these counts towards your 5-A-Day. Not only are they a source of protein, B vitamins, fibre, iron, folate and zinc, but they can bulk out stews, chillies and pasta sauces, giving a meaty texture and help you to feel full for longer. Rather than planning each meal around meat, choose your vegetables and wholegrains first then base the meal around those. Wholegrains (such as brown rice, whole oats, quinoa, nuts, seeds, fruits and veg) are rich in a range of nutrients including protein, antioxidants including vitamin E, fibre (both soluble and insoluble), folic acid, and B vitamins. They are digested slowly by the body, which alongside the fibre content, can help to provide a slow release of energy and prolong the feeling of fullness. 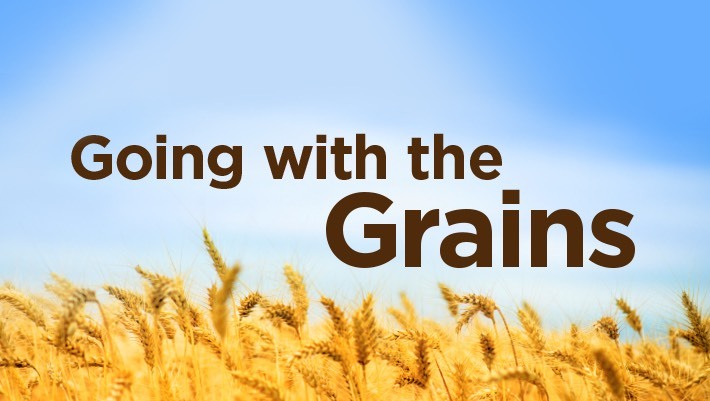 Wholegrains are provide such a powerhouse of nutrients, its surprising that in the UK 95% of us do not eat enough, and almost one in three of us do not eat wholegrains at all! It’s time to reduce the meat and up the plants!